Growing up in the industry, one of my most influential quarry owner / operators said, "You have to watch the nickels and dimes. The dollars will take care of themselves." Although he was specifically concerned with frugality and waste, his message speaks to the essence of human behavior. In a recent site visit, I found stickers on equipment and in strategic locations. The stickers reminded operators and drivers to complete the pre-shift inspection and paperwork. My client believes in the importance of consistent maintenance programs driven by documentation and ongoing communication between the operators and mechanics. The pre-shift inspection is the "nickels and dimes" in so many ways. The culture of a company comes from the top down, and it's evident from the bottom up. 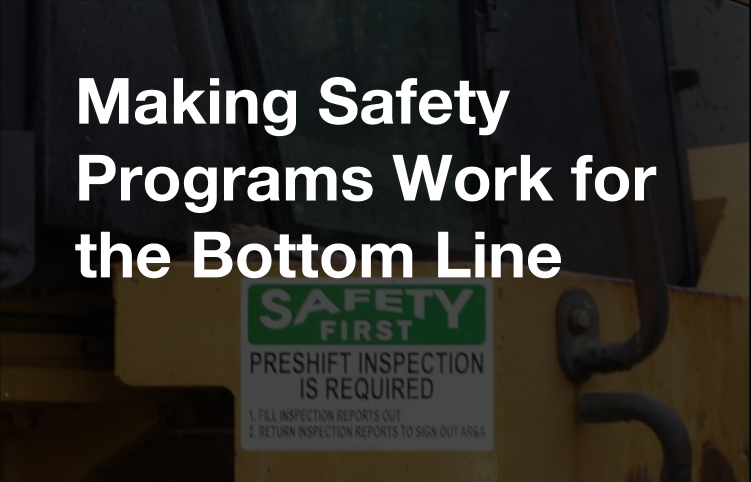 Companies that invest in their safety programs are investing in their employees and their bottom line. It's more then just savings in accidents. 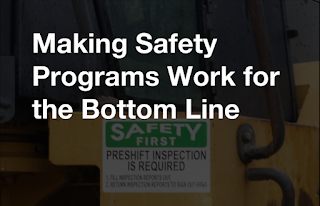 Effective safety programs provide companies with the opportunity to establish a workplace culture through communication systems and routines that foster positive relationships. I've had the opportunity to work with many mining and construction companies, and I'm delighted to have seen some companies taking care of their people and equipment. Safety, after all, is not just about avoiding accidents. I maintain that safety is about safeguarding people, tools, and the environment, and the keystone to safety programs is the communication. Pre-shift inspection systems, like the one mentioned above, are one of the best ways to foster communication among employees. Completing the paperwork does more than document the issues so repair shops can keep the equipment making money. It strengthens the connection between the operator and the machine, provides managers with information about specific training that machine operators need, and it provides an inroad to conversations among employees that can grow professionalism. Let's make something clear. When workers do online safety training or go to the free training provided by the government, businesses are missing out on an opportunity to nurture the workplace culture. The kind of work I do includes quarterly safety inspections, targeted training sessions based on a variety of data, and building relationships on the soapbox of safety and reducing cost of loss. When I walk away from a training with the feeling like workers were engaged, it's because several participants contributed in a variety of ways. That's ultimately what I do for the training – facilitate connections made by participants through their contributions. In other words, if I can get them talking about specific situations and share what they've learned, their coworkers and employers will take note and have a moment that increases solidarity. People love to be understood. It's the inroad to healthy relationships. One of the ways you get trainees to make contributions is through breakout sessions that allow them to explore concepts by sharing their experience. These sessions often build on a big idea concept such as cost loss analysis and aim to add examples and characteristics generated by the groups. If the cooperative learning sessions are facilitated properly, the message carries out to the workplace. Workers will retain more of the safety program elements if they learned them from their coworkers. They see their coworkers everyday, sometimes more than their families. This kind of cooperation allows the elements of a safety program to persist while otherwise it might die in the rabbit hole of complacency. I could go on and on about the complexity of these issues, but the bottom line is that a safety program that works for the bottom line is supported by effective communication, positive relationships, and training that places the ownership of the knowledge and skills in the hands of the boots on the ground. For more on some of the topics mentioned, please stay tuned for future posts.